First, I am really in love with wallpaper lately. And you will be too after you check out the difference it made in this room makeover shared by The Heathered Nest. Amazing! Here's a fun pallet project I hadn't seen before. And right in time for fall! 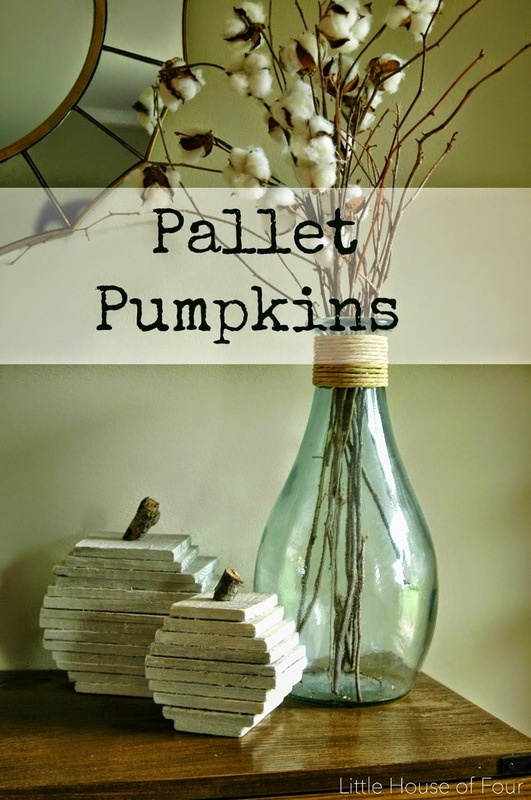 Check out these adorable pallet pumpkins shared by Little House of Four. 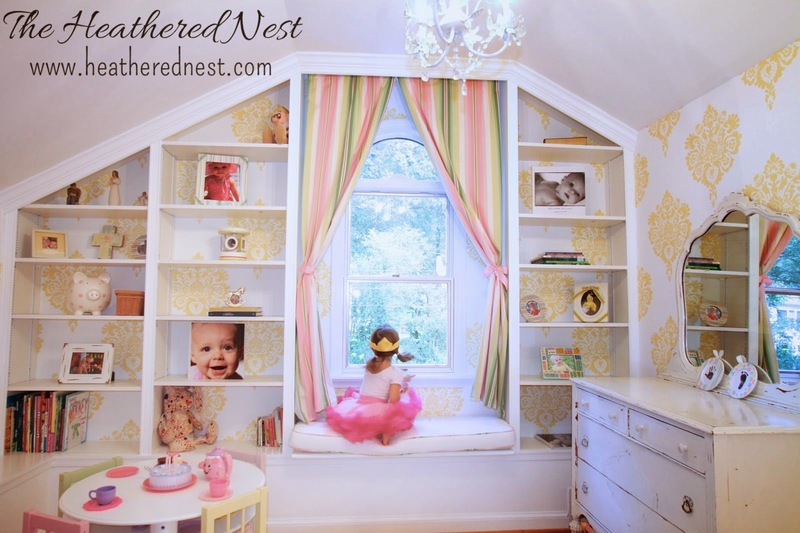 Wendy, was thrilled to check out your blog this am and see our daughter's room as your feature! So glad you like the wallpaper...it was definitely a "go big or go home" kind of choice. As always, your link party is one of my favorites of the week. Enjoy the weekend!